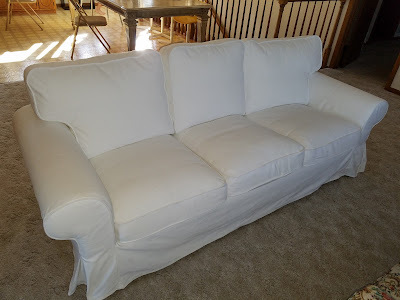 Saw this white sofa on Facebook Marketplace for only $150.. It was a mess picking it up though.. my phone was dying, then eventually died, the woman selling it had given me the wrong apartment number, I couldn't reach her by messaging or calling her. But we had driven 30 minutes to pick it up, so I wasn't going to give up!! It ended up being half an hour by the time we figured things out and picked it up. It turned out to be a $500 Ektrop Sofa from IKEA, so you tell me if it was worth it haha. 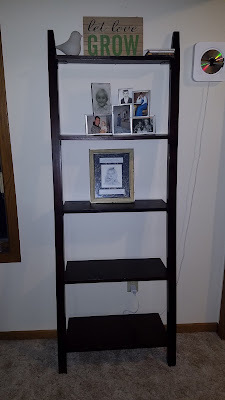 This ladder shelf was also a Facebook Marketplace find, $15. 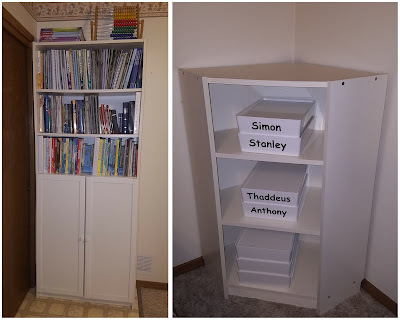 Somehow the previous owner reversed all the shelves, but a quick flipperoo fixed it. There are a couple scratches on it, but nothing a stain pen can't fix. Got this mirror from my sister, she had no use for it and I do. I'm planning on making it over for a farm house look and hanging in the entryway. 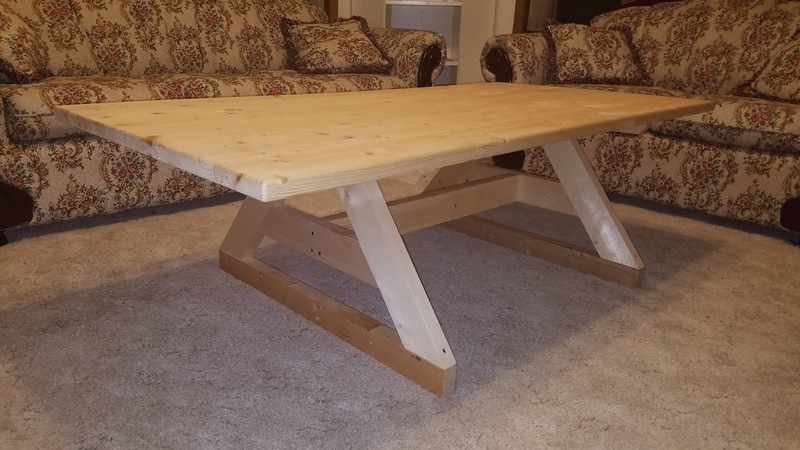 My brother made this coffee table for our sister for her in-home day care, but she no longer uses it, so she gave it to me. 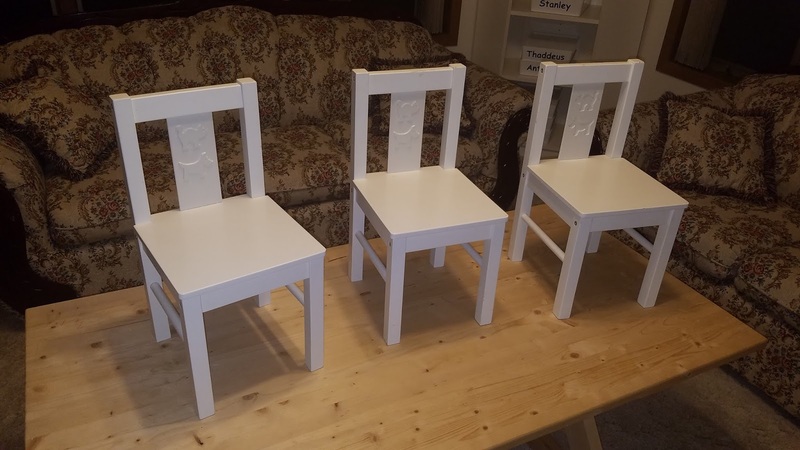 Would also like to make it over for a farmhouse look.. maybe stain the top dark and paint the legs white..
She gave it to me with these cute, children's, IKEA chairs..
Got these two shelves from a seller on Facebook Marketplace. Sadly I discovered they were not solid wood, something important to me, but IKEA particle boards. 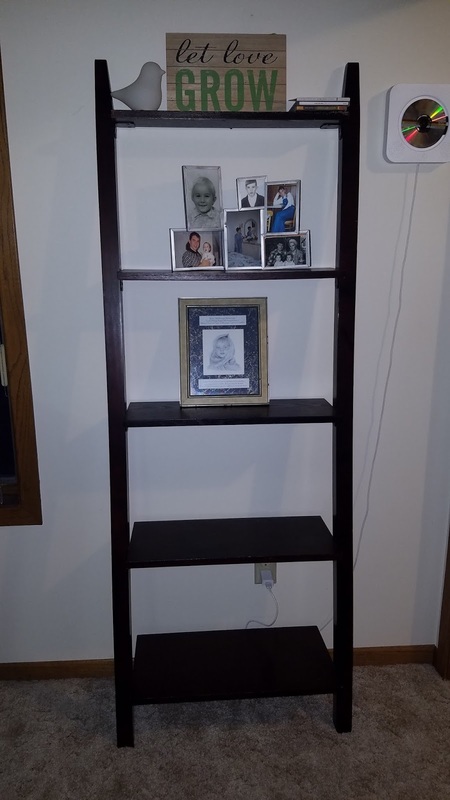 Not worth the $75.. Oh well.. One day I'm sure I'll find real shelves to replace them with. 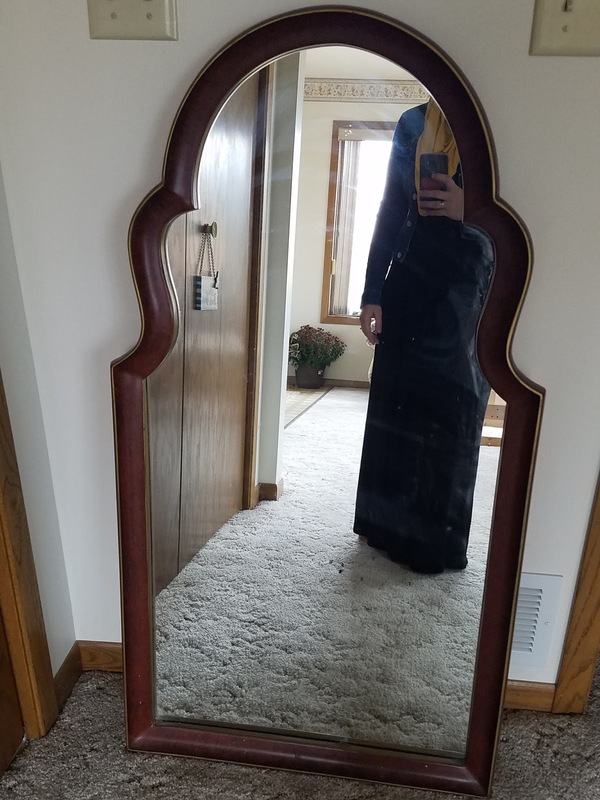 Until then, they don't look bad at all.